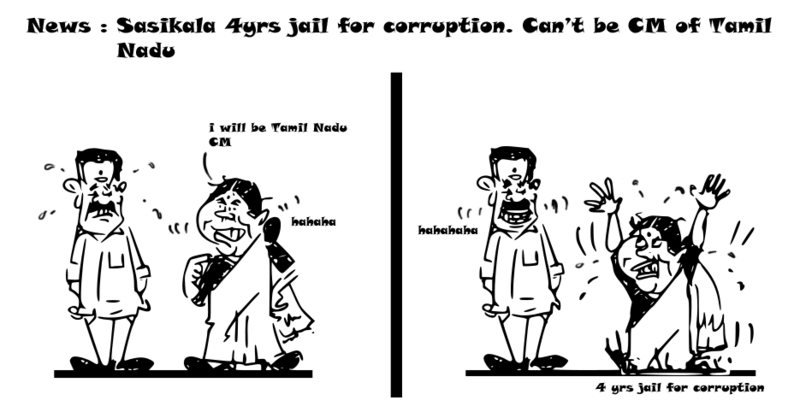 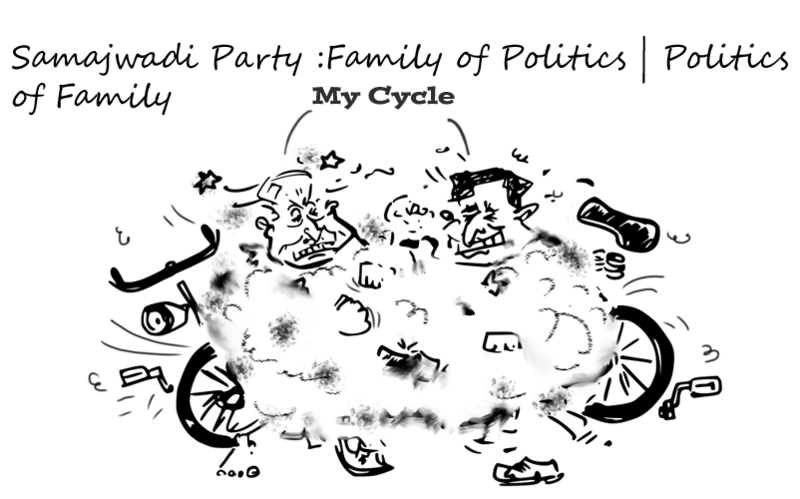 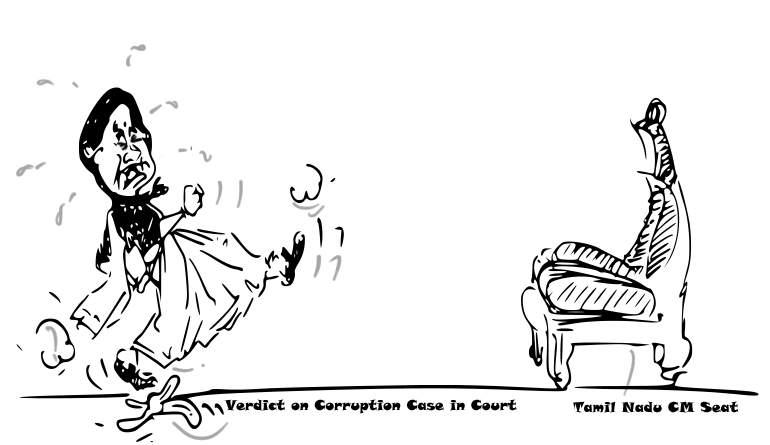 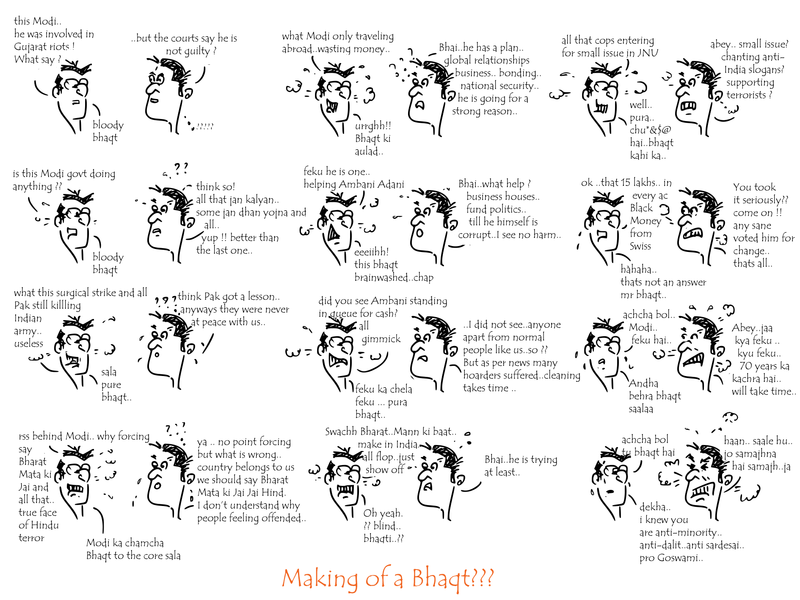 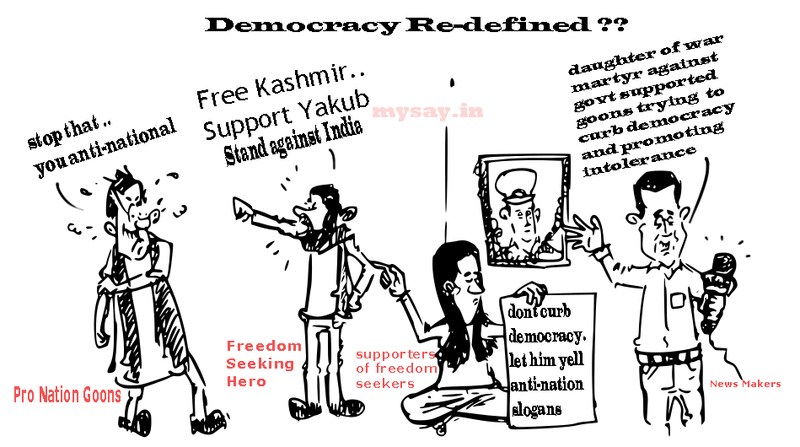 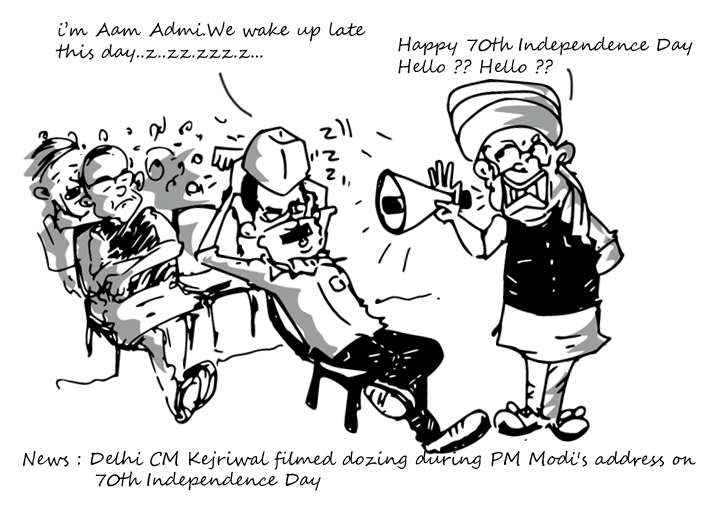 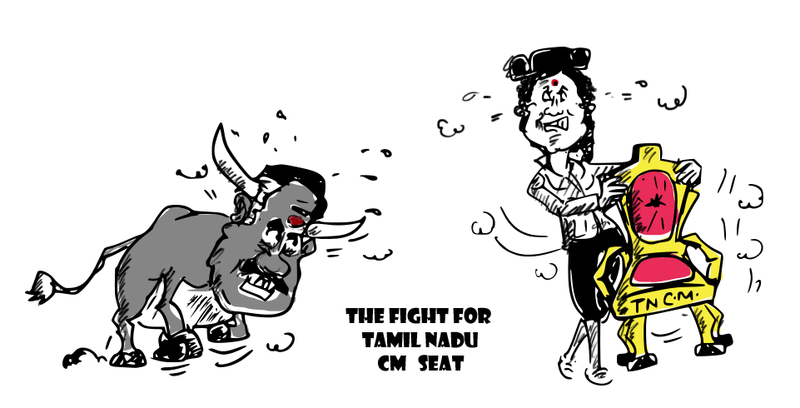 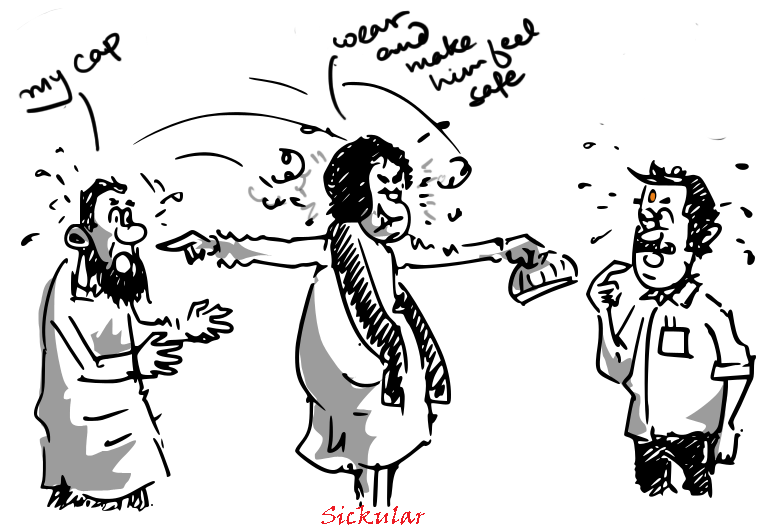 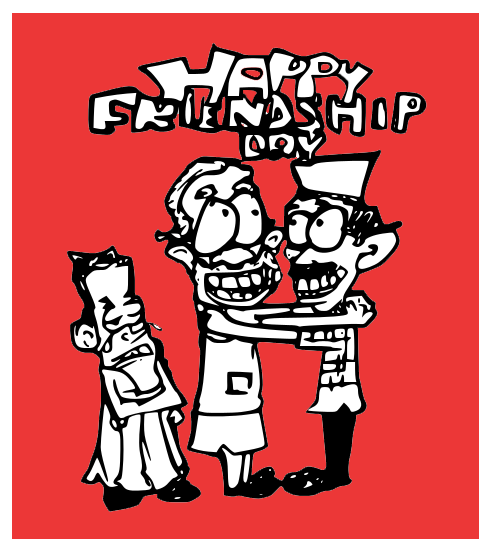 MySay.in | Political Cartoons and Social Views | Funny Cartoon Jokes on Latest News and Current Affairs. 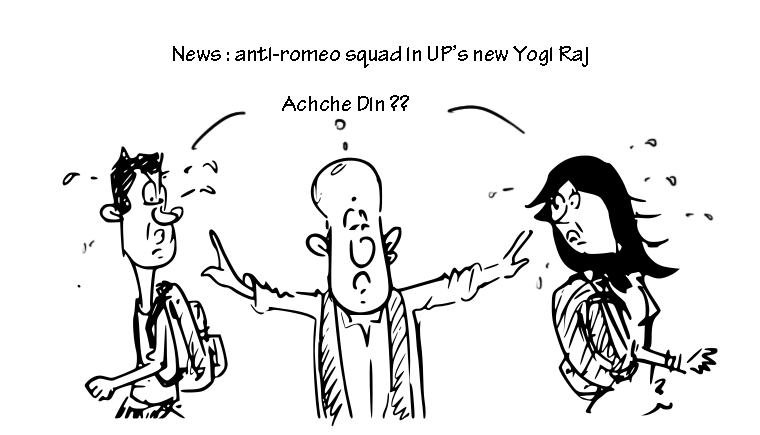 #YogiAdityanath the new CM of Uttar Pradesh has taken quite a number of stern decisions and two ow which are #AntiRomeoSquad to ensure the public gardens of the capital of the state does not have loverbirds loitering around. 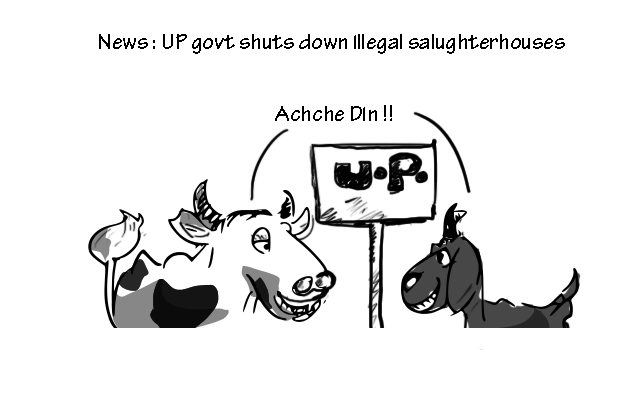 Second is, shutting down illegal #slaughterhouse in the state. 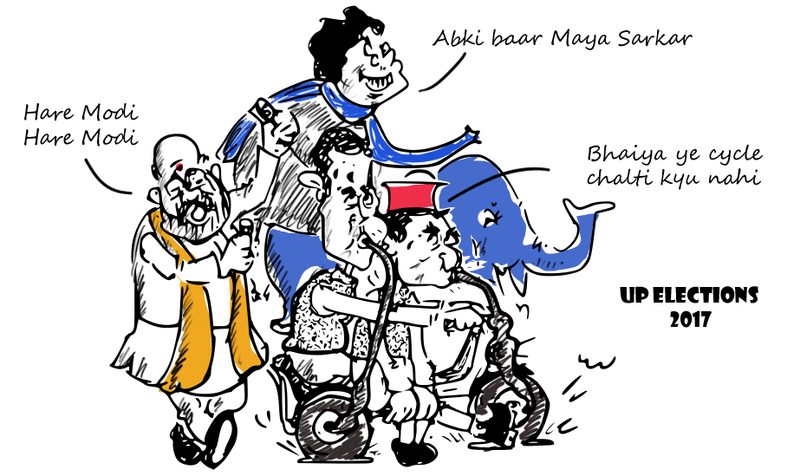 Mixed reactions on stern steps in initial phase of Yogi Raj from every where. 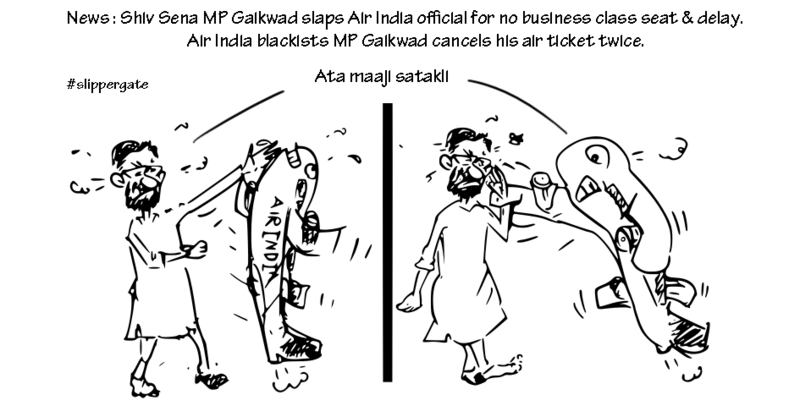 Meanwhile, Shiv Sena’s MP, R. Gaikwad agitated with delay of Air India flight and no business class available in the flight ended up making #SlipperGate controversy when he picked up his sandal to beat up Air India official during heated altercations. 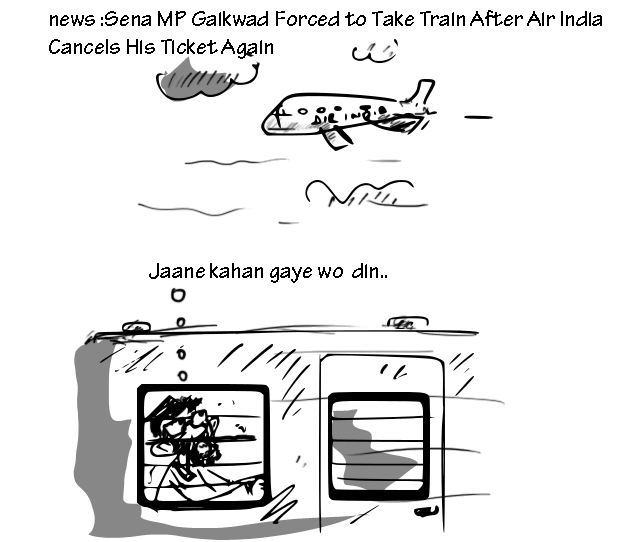 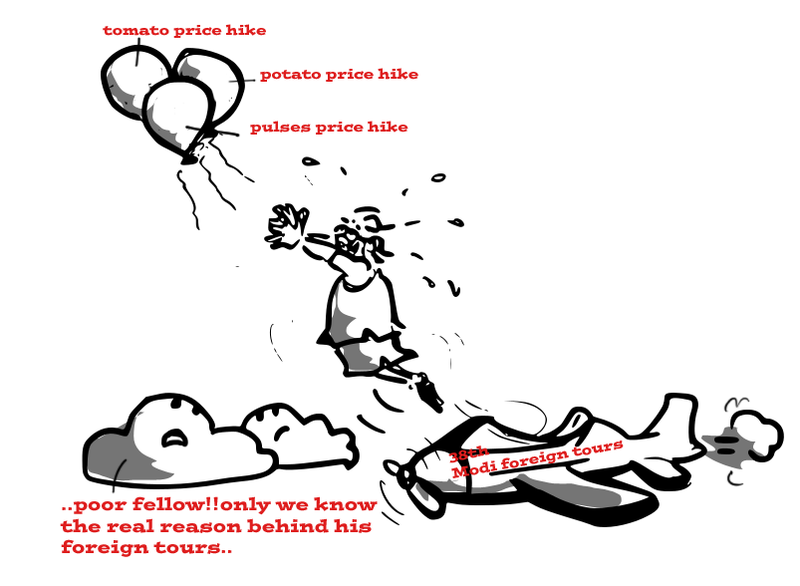 In return, Air India blacklisted him as a customer and canceled his ticket twice and also filed two FIRs against him.